General manager Katerina Mousbeh received the award for Best Tour Operator on behalf of Mideast Travel Worldwide. Athens-based Mideast Travel Worldwide recently received the Silver Award in the Best Tour Operator category at the Greek Hospitality Awards 2018, which was recently held for the fourth year by Ethos Events and Hrima Magazine. The award was received by Mideast Travel general manager Katerina Mousbeh. “It is a great joy and honor for our company to receive such a significant accolade for a third consecutive year. This important distinction is a recognition and a reward for the high-quality services we offer,” she said. 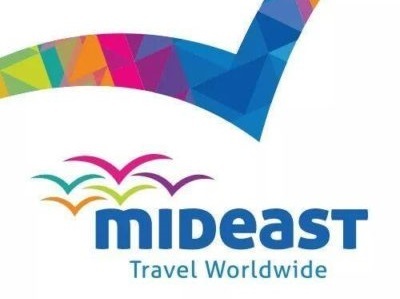 For the last 35 years Mideast Travel is offering a wide range of quality immediate and effective services. “Serving thousands of customers every year, we implement our vision to operate a tourism company with a human-centric philosophy and a focus on our clients’ needs,” Mousbeh added. From its headquarters in Athens and its branch in Istanbul, Mideast Travel currently offers its services globally. Furthermore, in 2016 it was appointed representative of the BCD Meetings & Events company in Greece. The Greek Hospitality Awards 2018 dinner gala took place at the Divani Apollon Palace & Thalasso in Athens, in the presence of 400 guests from the Greek hospitality and tourism sector. The winners were selected among 149 nominees by the judging committee and the magazine’s readers. The awards were held under the auspices of the Tourism Ministry, the Greek National Tourism Organization (GNTO), TIF-HELEXPO, the General Pan-Hellenic Federation of Tourism Enterprises (GEPOET) and the Hellenic Hoteliers Federation. The Greek Travel Pages (GTP) was a media sponsor of the Greek Hospitality Awards 2018.